A tight-paced thriller that examines the effects of modern drone warfare from the highest offices to the drone pilots and the innocent bystanders caught in the middle. Standout performances from Helen Mirren, Alan Rickman (in his final live-action role), Aaron Paul and Barkhad Abdi help lend a weight to the proceeding, much of which unfolds in real time. Very tense and raises some very important issues - well worth checking out. This tightly plotted gem of a spy thriller is so tense and suspenseful, it's incredible! The acting is excellent for most of the cast and the writing does a good job of laying out every single argument and point of view for the situation that happens in the movie. No posts have been made on this movie yet. 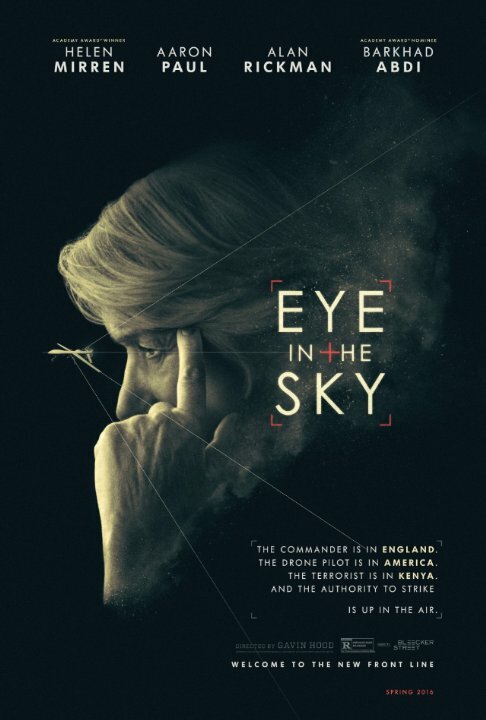 Be the first to start talking about Eye in the Sky!